When it comes to removing makeup, there's no coming back from micellar waters. I mean, after discovering such a gentle and effective method of getting makeup off your face, can you imagine ever going back to regular old, greasy makeup removers? While I'm still mystified by the fact that something that feels as gentle as water can easily remove mascara, lip stains and a whole face of foundation with no stinging sensation whatsoever, I'm definitely not complaining. That sore stingy feeling you get when you've been a bit over enthusiastic getting your makeup off is just the worst (and having to sit scrubbing your makeup off at the end of a long day is quite the task anyway). 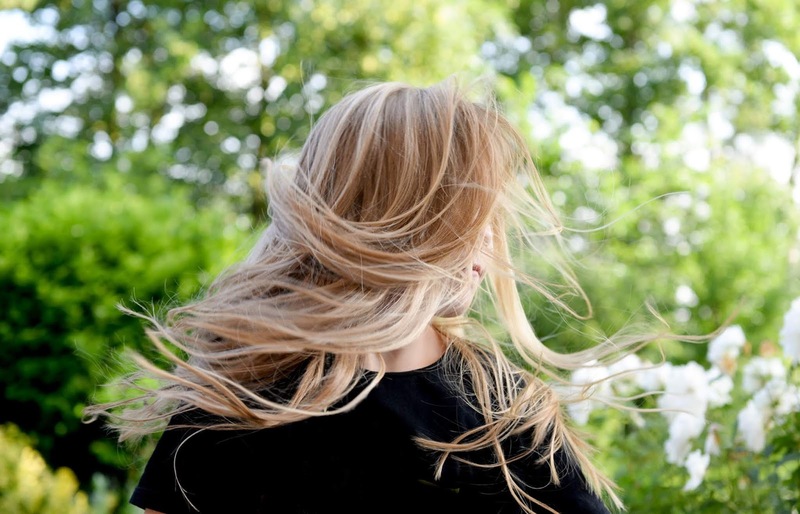 With products like micellar waters available there's no excuse to go running to the baby wipes or fall asleep with a full face on, a few light swipes and the gunk is off. 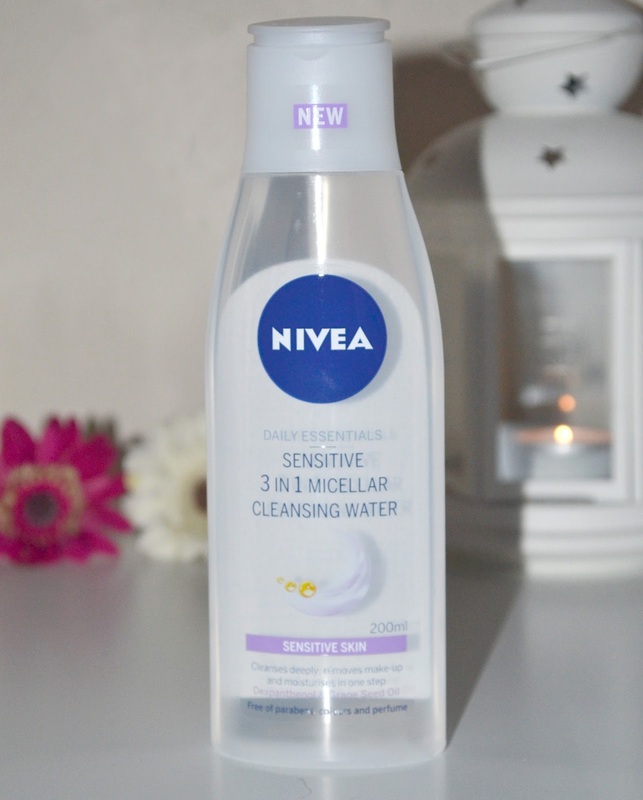 The latest micellar water I've been trying out is this by Nivea- and let me tell you, it's a good 'en. While most micellar waters are suitable for sensitive skin, this one feels particularly gentle, it feels exactly like water despite having the ability to remove makeup like a powerful cleanser. From what I can tell the science behind it seems fairly complicated, but essentially what it does is break down the molecules in the makeup making it easier to remove it (rather than creamy based removers, that have a tendency to just slide the makeup around your face). 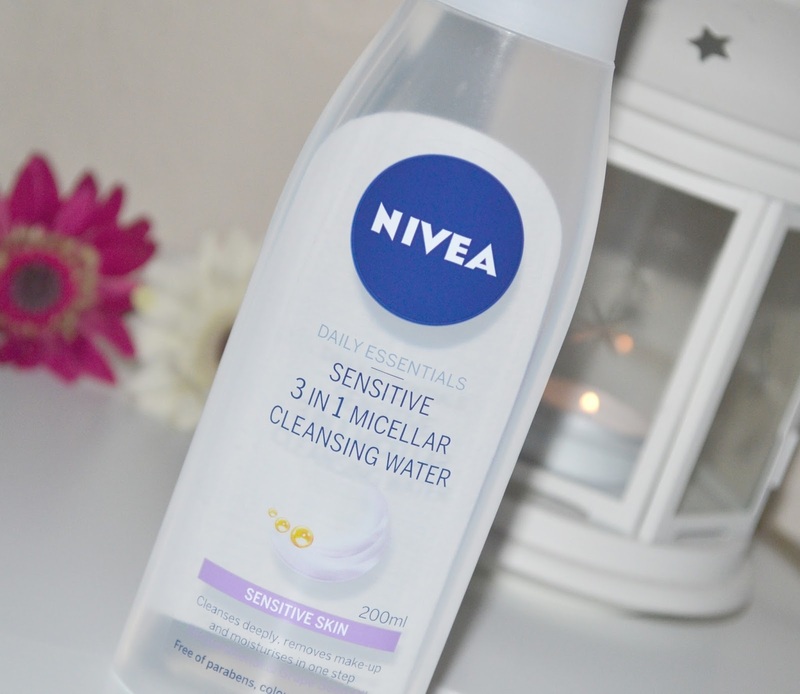 Nivea Sensitive Micellar Water can be used around the eyes without any pain, it doesn't leave the skin feeling stripped or dry and has even the most stubborn makeup off in a flash. No more getting out of the shower looking like Gene Simmons, and followed with a cleanser you're safe in the knowledge that there's no makeup lurking in your pores ready to make your skin break out. The 200ml bottle should last for a while, but it's still compact enough that you could easily pop it in a travel bag without it taking loads of room. I've used Nivea products ever since I can remember; they're such a tried and tested beauty brand I had every faith this would be a great product, and I wasn't disappointed. It contains no parabens, colours or perfumes, and so if you're sensitive to these things (or are just looking for an effective new makeup remover) this is definitely one to try- I love the stuff! 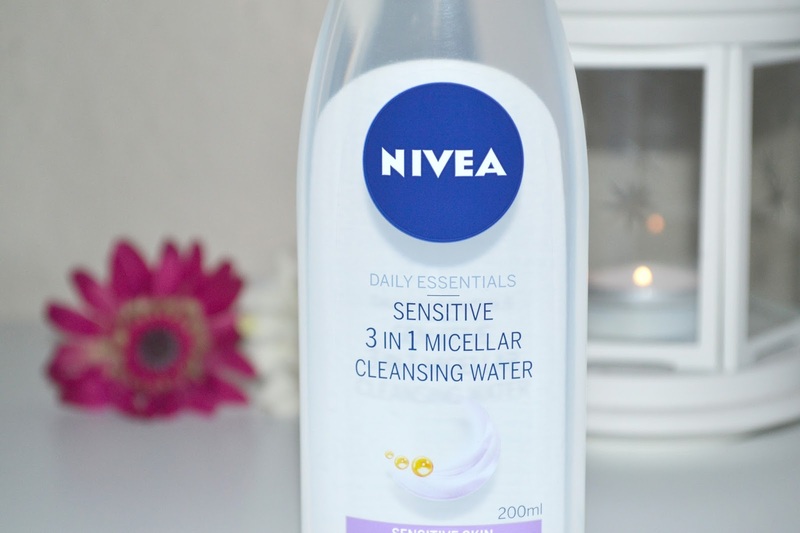 What's your favourite brand of micellar water? Ooooh can I find this in the States do you think? I haven't seen this...going to keep my eyes peeled open! Oh my gosh! I've seem everyone reviewing the Garnier Micellar water lately, but this is literally perfect for me I'll definitely be buying it. I always use NIVEA products as they work really well with my skin type. This one's pretty cheap too! I love my Bioderma, but have been looking for something that's easier to get hold of for a while. I tried Superdrug's b. micellar and couldn't use it around the eyes because it stung so much - an absolute deal breaker when it comes to something that's meant to take my make-up off! I love the L'Oreal one, I haven't even seen this one but I think when I do I'll definitely be picking it up! I've been using the L'Oreal one up until now, then the Garnier one was on offer in Superdrug so I picked that up and now I'm excited to give that a try too! I agree, once you switch to these waters, there's no turning back. I just wish more of them were more readily available here in the States. I would love to be able to find this Nivea one in my local drugstore but sadly, little of Nivea's face care line is available here. I currently use Bioderma's Sensibio but I have to order it online. I absolutely love it for use in the morning. My skin is very dry so it's gentle enough to not dry out my skin but works well at removing any dirt. Haha love your reference to Gene Simmons! I've only ever used Bioderma, because I can't find any of the drugstore ones here, which is totally lame.